Like most couples planning their big day, you are likely to have a sit down dinner at your wedding reception, with several food choices for you and your guests. We discuss how you can collect your wedding guest's meal choices from the comfort of your online RSVP on your wedding site. Great for you, fantastic for guests! Collecting your wedding guest's meal preferences in advance of your big day is not only really appreciated by your caterer at your wedding venue, but also gives you the edge in terms of your wedding planning. You can say goodbye to any stress in knowing that your wedding reception meal will run smooth. Not only is it an advantage to you in terms of making wedding planning easier, it also makes your guests feel that they too are being considered, giving them a sense of control. Collecting your guest's meal choices in advance of your big day makes a lot of sense. Lots of our couples at OurBigDayInfo Wedding Websites are now displaying these wedding meal choices directly on their RSVP form, so that they can forward this information as advanced notice to their wedding reception venue. This trend is really catching on, and here at OurBigDayInfo we work directly with our couples to ensure that their guest's meal choices are included on their online RSVP form exactly how they want it. At OurBigDayInfo Wedding Websites we work with you to ensure your wedding website RSVP form displays your meals how you want it. You may prefer to include only your main course - but some couples may also include the starter or dessert options. The majority of couples we've worked with at OurBigDayInfo generally ask only for the main course - which gives their guests a bit of flexibility in terms of them choosing their starter and dessert on the big day itself. It really is about how much info you want to communicate to your wedding venue in advance of your big day. If children are to attend your wedding, their meal choice can also be included on your RSVP form on your wedding site. 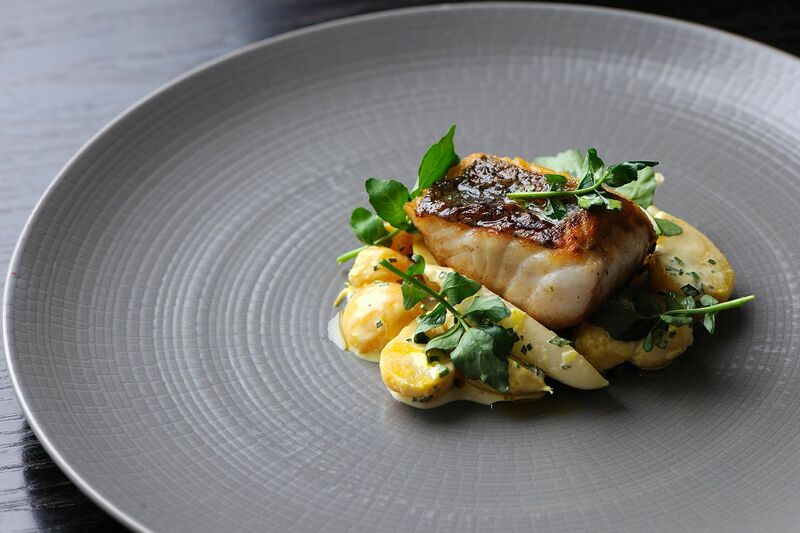 In fact, collecting children's meals is just as important as collecting adults; as everyone knows how wee ones love their favourite food at big events! Considering guest's food allergies is a must when collecting meal choices on your RSVP form. From peanut allergies to oyster allergies, you may be surprised to discover how many guests attending your wedding actually have allergies. Being able to pin point allergies in advance ensures that this important information is communicated to your hotel or wedding venue. As you receive your guest's RSVPs to your email, you will not only have a head count in terms of numbers attending, but also which guests have any food sensitivities. What would you like to be served with on our big day? Don't forget to select your meal choice below! 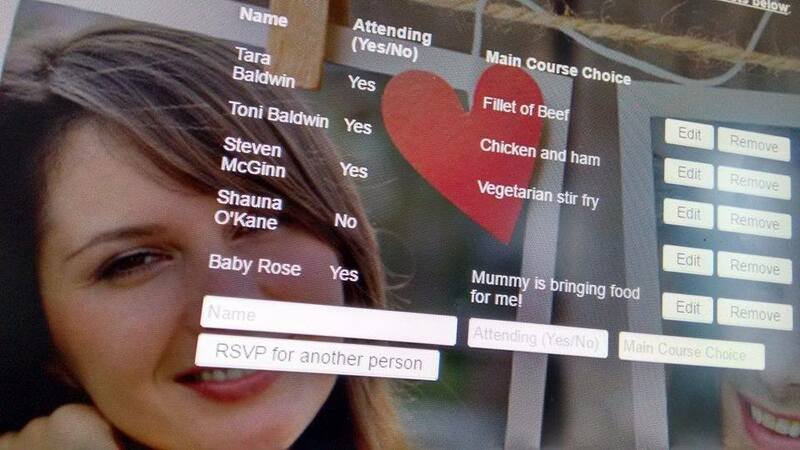 With the power of RSVP Reports, a feature which comes FREE with all OurBigDayInfo Wedding Sites, you can easily scan all the meal selections made by your guests. What's more, you can easily forward this RSVP Report file to your wedding venue so that they have a record of your guest's meal preferences for your wedding. ... or via our live chat, and we can include your meal choices for your wedding on your RSVP form. Don't have a wedding website yet?